The Hume's hawk-owl (Ninox obscura) belongs to the family Strigidae under the order Strigiformes. The family Strigidae comprises nearly 220 living species in 25 genera, including genus Ninox. The family Strigidae was described by William Elford Leach, MD, FRS (2 February 1791 – 25 August 1836), an English zoologist and marine biologist, in the year 1820. 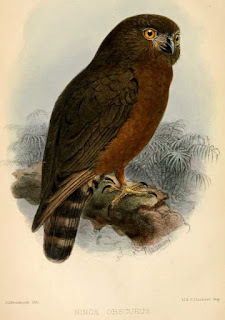 The genus Ninox was first introduced by Brian Houghton Hodgson (1 February 1800 – 23 May 1894), a pioneer naturalist and ethnologist, in the year 1837. 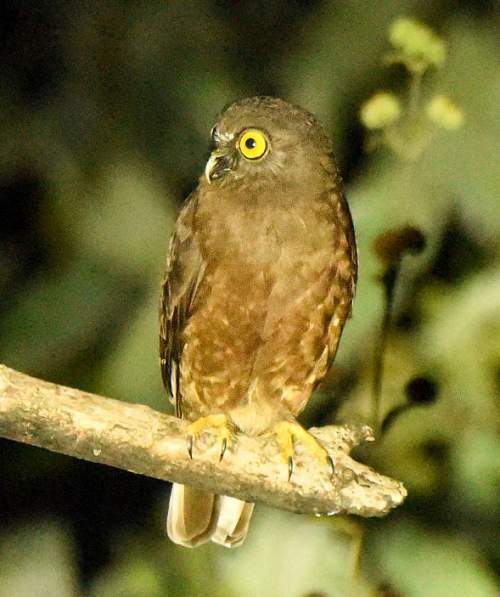 The genus Ninox comprises about 35 species, including species Ninox obscura. The species Ninox obscura was first described by Allan Octavian Hume, CB ICS (6 June 1829 – 31 July 1912), a political reformer, ornithologist and botanist, in the year 1872. The species Ninox obscura is monotypic. 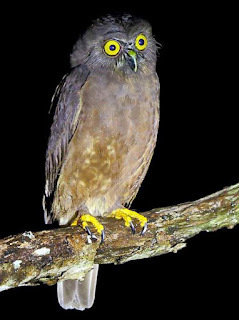 Earlier, Ninox obscura was considered conspecific with Ninox scutulata, Ninox japonica and Ninox randi. 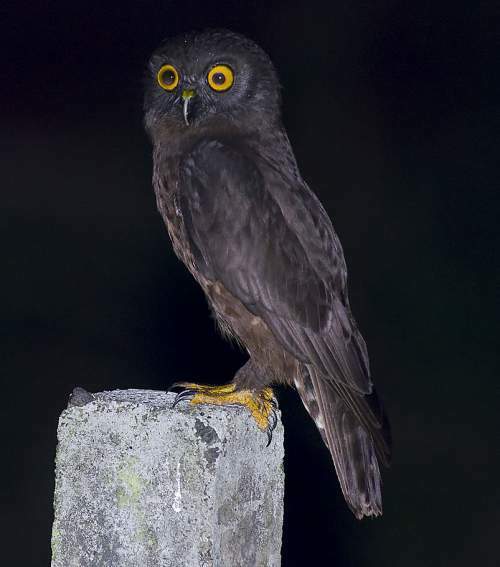 Current topic in Birds of India: Hume's hawk-owl - Ninox obscura images.